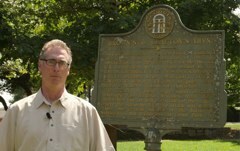 A Georgia Historical Commission marker titled "Brown's and Clayton's Divisions" is located in a triangular park at the intersection of Edgewood Avenue and Delta Place. Park on the street, near the marker. 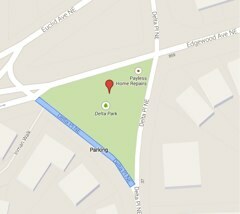 Delta Park is at the intersection of Edgewood Avenue and Delta Place. 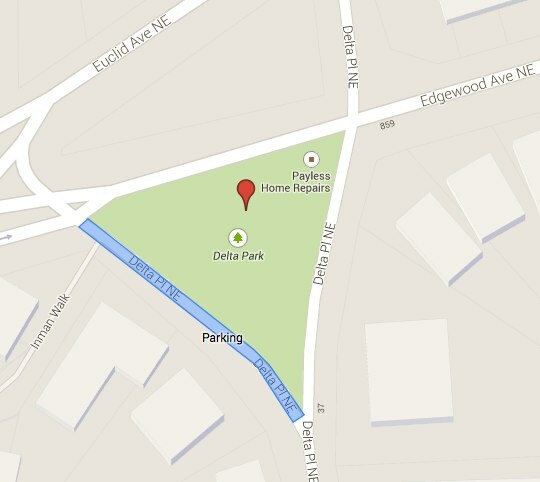 Parking is available on the street, as marked in blue on the map below (click for a larger version). A Georgia Historical Commission marker is located at the red pinpoint on the map.